Looking for a Family Dentist? We’re Accepting New Patients! Welcome to Central Dental Associates! 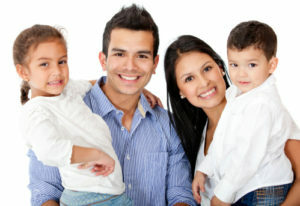 If you and your loved ones are looking for a family dentistry practice in Norwood, our office might be right for you. We offer a wide range of dental treatments to meet the needs of patients of all ages, and for your convenience, we offer early morning, evening, and Saturday appointment times to fit even the busiest family’s schedules. If you’d like to bring your whole family to see us on the same day, we can even set aside a block of appointments. We do our utmost to make dental care convenient and comfortable for every member of the family. Don’t hesitate to contact us to find out more or schedule your appointment today. Comments Off on Looking for a Family Dentist? We’re Accepting New Patients! Central Dental Associates Welcomes Dr. Robert Stoddard! At Central Dental Associates, we’ve got a team of experts working together to provide excellence in dentistry — and we’re happy to announce we’ve just added Dr. Robert Stoddard as the sixth dentist at Central Dental Associates! He adds his significant experience and skill to our practice, where Norwood patients know they can find comprehensive dental care for smiles of all ages. Comments Off on Central Dental Associates Welcomes Dr. Robert Stoddard! If you’ve ever owned a brand new car, you probably remember the first scratch or chip in the paint, but what about the 5th or the 10th? Most people stop paying attention to minor flaws after the first few, but overtime, even tiny scrapes and chips add up and the car looks worn and old. The same thing happens to teeth as we age. Tiny chips and stains seem to multiply leaving teeth looking worn and faded. You can trade in your old car for a brand new model, but it’s more difficult to trade in your worn teeth. At Central Dental Associates, we work closely with patients to prevent even minor damage keeping teeth looking and feeling beautiful for life. For those who haven’t been as careful with their smiles through the years, cosmetic bonding may just be your smile’s reset button. At Central Dental Associates, our Norwood, MA dental team helps patients renew their smiles with one visit, no prep cosmetic dental bonding. 1965 was a big year for the world — and, on a somewhat smaller scale (we suppose), it was a big year for Norwood. That was the year Central Dental Associates first opened its doors to our community. We’ve been providing excellent general and family dentistry ever since — and we were so proud to celebrate our 50th anniversary in our newly renovated office. If you’re looking for a reliable, compassionate and skilled dentist, look no further than your trusted dentists at Central Dental Associates. We’ve helped countless Norwood neighbors achieve excellent oral health over the years — and we’d love to help you, too. Your health is very important to us at Central Dental Associates. We provide comprehensive care from our practice for all of our current and prospective patients. Cosmetic dentistry is one of the most popular areas of dentistry. Changing the appearance of your smile can pay dividends. If you’re needing to nail that next job interview, a teeth whitening session could help you get the job. If you’re wanting to ask someone out on a date, a white smile can work wonders. Basically, anything that has to do with perfecting your smile from an appearance standpoint, we have the tools and team to make it happen. Our Norwood, MA office is ready to help you get the smile of your dreams. Our dental team consists of some of the best dentists in our area: Dr. Robert Viventi, Dr. John Maheu, Dr. Maryam Shomali, Dr. Caroline Faris and Dr. Thomas Parsi. No matter what cosmetic issues you’re dealing with, our dental team can get your smile looking beautiful. Is everyone in your family up-to-date with their dental checkups? If it’s been more than six months since their last dental exam, they may be unnecessarily endangering their good health. Oral cancer screenings are a routine part of every dental checkup. If you’re over 40, skipping these regular screenings could jeopardize your life. Tens of thousands of new oral cancer cases develop every year. The single greatest factor in the outcome of oral cancer cases is the stage at which it is found. Because many oral cancer symptoms are disguised as less threatening illnesses, it can go undetected for far too long if you don’t see a dentist regularly. The best way to protect your family and yourself is to make an appointment with Central Dental Associates for a dental checkup and oral cancer screening today. Central Dental Associates provides experienced and compassionate dental care to families throughout Norwood, MA, Walpole, Westwood, Medfield, Dedham, and the surrounding communities. Are You at Risk for Developing Oral Cancer? 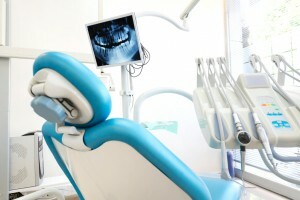 What Do Oral Cancer Screenings Check? There’s no upside to postponing the dental care you and your family need to stay healthy. Making an appointment for the oral cancer screening and dental checkup you need is easy with Central Dental Associates. Central Dental Associates are standing by to help you protect your family this coming year, and for the many happy years to come. The highly qualified dentists of Central Dental Associates restore smiles daily throughout Norwood, MA, Walpole, Westwood, Medfield, Dedham, and nearby areas. The approaching holiday season can be a double dose of danger for your dental care. While most people tend to eat more sugary foods and drink more alcohol, they also get so busy with holiday preparations that they forget to keep up with their normal oral hygiene routine. You can protect your teeth and make dental care a priority this season by contacting Central Dental Associates today for an appointment. The experienced dentists of Central Dental Associates proudly serve all of Norwood, MA, Walpole, Westwood, Medfield, Dedham and nearby communities. Desserts– Drink plenty of water after eating anything sugary. This will help wash away the bacteria. Sticky Treats– Avoid chewy candies and dried fruits such as cranberries. These sticky particles will linger on your teeth and are hard to remove, which increases the risk of developing cavities. Alcohol– Try not to swish wine around in your mouth and drink water between glasses of wine to rinse the acid away from your teeth. Sugar Free– Anytime you can substitute a treat for a sugar- free version you are helping protect your teeth. Sugar- Free treats containing the sugar substitute, Xylitol, can actually help reduce plaque buildup. Also try chewing a piece of sugar-free gum after a meal to un-stick food material from your teeth. Got Milk– Dairy can protect your teeth from acids produced by oral bacteria, decreasing the possibility of tooth decay. Just add a glass of milk or a slice of cheese to your holiday candies and treats. Stress- Holiday stress can cause some people to grind or clench their teeth while sleeping (bruxism). A dentist can provide you with a custom night guard to prevent damage from bruxism. This time of year can spell disaster for your teeth. 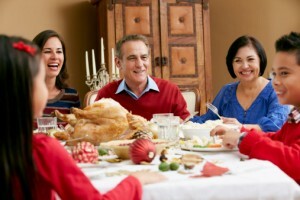 Have a healthy holiday season by remembering to keep up with your dental care. Make an appointment with Central Dental Associates for a pre or post holiday cleaning. Central Dental Associates serves patients throughout Norwood, MA, Walpole, Westwood, Medfield, Dedham and surrounding cities. The average person brushes their teeth over 40,000 times and uses over 80 liters of toothpaste. The tarter build-up fighting, brightening, whitening toothpaste we enjoy today has not been around for very long. In fact, it has only been around in its modern day form for about 60 years. Toothpaste as we now know it has been on a long road of innovation and invention. The experienced team at Central Dental Associates wants to help you learn more about protecting your teeth. Contact Central dental Associates today for your next appointment at their Norwood, MA dental office. The doctors of Central Dental proudly serve Norwood, MA, Walpole, Westwood, Medfield, Dedham, and surrounding areas. The search for an effective toothpaste formula has gone on for thousands of years. The ancients were constantly seeking prevention and remedy for toothaches, tooth decay and bad breath. This search led to incredibly bizarre concoctions and formulas. As early as 5000 B.C. the Egyptians created a formula for toothpaste that consisted of mint flowers, salt and pepper. Unfortunately, it also had the side effect of making the gums bleed. Today we use baking soda as the abrasive in toothpaste which polishes our teeth. As early as 500 B.C. in Rome, China and India some of the abrasives used were made from crushed fish bones and egg and snail shells, brushed on with sticks or cloths. It wasn’t until the early 19th century that the modern toothbrush and toothpaste began to take shape. The popular formula for toothpaste at this time consisted of chalk, salt and glycerin sold in jars, not tubes. An American dentist named Dr. Peabody was the first to add soap in 1824. The modern tube toothpaste can be attributed to a father son in Connecticut. Dr. W.W. Sheffield and his son had developed tube toothpaste by 1892, first Inspired by the tubes of paint used by painters. At this time it was known as “crème dentifrice”. In 1896, Colgate began marketing metal tubes of toothpaste that wound up with a key. The healthy effect of fluoride on teeth was revealed by accident in 1901 when a dentist in Colorado Springs found that the local population he treated developed significantly fewer cavities than other populations. It was discovered that this was due to naturally elevated levels of fluoride in their local water supply. By 1950, fluoride was added to the general formula. After WWII synthetic detergents replaced the soap in toothpaste. Modern toothpaste is made of an abrasive like baking soda or chalk, a whitener, flavoring, a foaming additive and a binder. You can easily make your own toothpaste at home using a simple recipe. Just mix 3 tablespoons of baking soda, 1 tablespoon of salt, 3 teaspoons of glycerin, a dash of water and one teaspoon of peppermint. To find out more about taking care of your teeth, contact Central Dental Associates today for your twice yearly check up. Central Dental Associates proudly serve patients in Norwood, MA, Walpole, Westwood, Medfield, Dedham, and the surrounding communities. While we all know it’s important to floss, it doesn’t mean we’re all actually doing it. Today, the staff at Central Dental Associates wants to teach you about flossing and how important it is to the health of your smile. Unfortunately, brushing alone isn’t enough to maintain the health of your smile. Plaque can accumulate between your teeth and can lead to decay. Also, plaque can harden into tartar and can irritate your gums, inflaming your gums and increasing your risk of gum disease. Flossing is important because it cleans in between your teeth, thus preventing a buildup of plaque. Brushing just cleans the tops and sides of your teeth. Your smile is not truly clean until you use both techniques together. This article from Colgate discusses proper flossing techniques, and we can demonstrate them for you at your regular checkup. If you’re having trouble flossing, try getting a pre-threaded flossing tool. They can be found in packages at drugstores and are inexpensive. 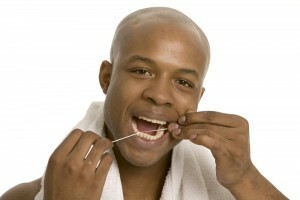 Flossing needs to be an integral part of your oral health routine to ensure the health of your smile. By taking a little time out of your day to floss, you’ll see a big difference in your smile. If you have any questions, don’t hesitate to call us. We’re here to help. Visit our contemporary practice and learn why Central Dental Associates has been Norwood’s premier choice for family and restorative dentistry since 1965. We’re located in Norwood, MA at Chestnut Green, convenient to patients from Walpole, Westwood, Medfield, Dedham, and surrounding areas. Call us today!